It all started when ABC published a story (which has since been corrected), about a strain of multi-drug resistant salmonella found in raw chicken products that sickened 92 people in 29 states. News of a food-borne illness isn’t that surprising these days, and the outbreak is real. But things got weird when the topic of Halloween, and chicken costumes, got involved. 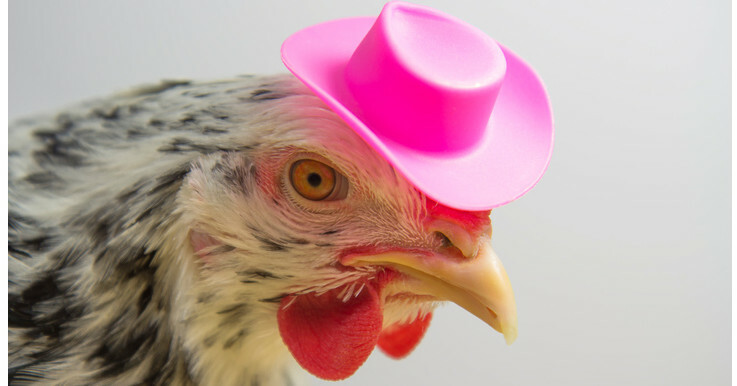 In the earlier version of the article, ABC reported that the CDC had advised people against dressing up chickens in Halloween costumes, based on the idea that a person might come into contact with harmful bacteria (like salmonella) on chickens when dressing them in a costume. They also interviewed a woman who apparently really likes to dress her chickens up in sweaters during Halloween and was pretty upset about this health advisory. Here’s the thing: there wasn’t actually any official warning from the CDC about chicken costumes (trust me, I looked). Nevertheless, the chicken costume warning was picked up by a few other outlets. It caused some confusion and obviously sadness because who doesn’t love a cute little chicken costume?